Fendi Skirt crocheted by Vera Grguricin, improvised pattern. Vera was inspired to make this skirt by a photo of a striped Fendi skirt worn by Victoria Beckham. You can visit her crochet blog here! 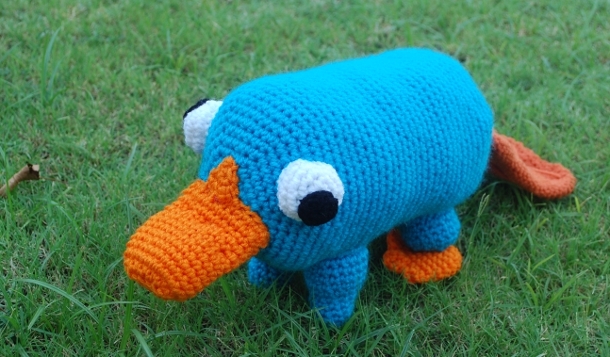 Pet Platypus crocheted by Melissa Mall, from her own design. Melissa created this platypus as a surprise for her son’s seventh birthday. You can find more of her crocheting on her website. Cute Crochet Skull Scarf, crocheted and designed by Wicked Crochet. 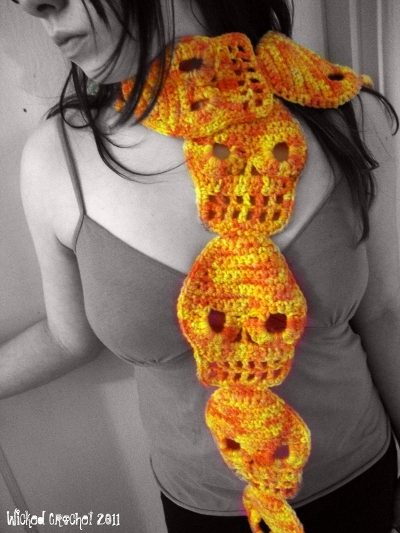 Wicked Crochet designed this scarf because she just couldn’t find any crochet skull patterns that she really loved. Now she have one that she adores! Her artistic statement is “You may think crochet is dead but I’m digging it up, putting an abnormal brain in it and shocking it back to life.” You can visit her Etsy shop here. Crochet is Alive and well in the State of Washington. 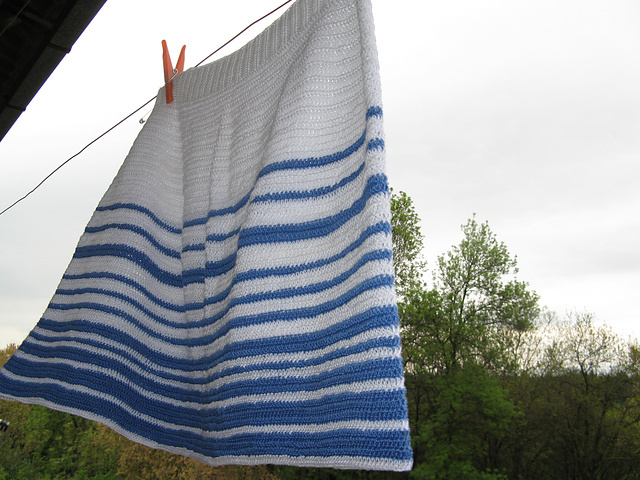 Several years ago I even had crochet withdrawals when I finished all of my WIPS for the year. I like you Cute Crochet Skull Scarf. can you buy the pattern?